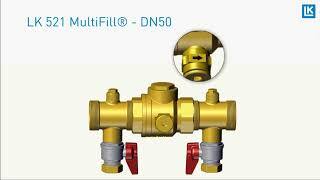 LK 521 MultiFill® is a combination valve for easy ­filling of refrigerant fluid into ground source heat systems. 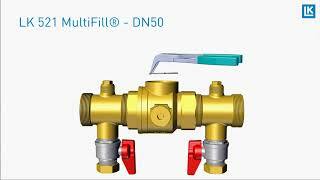 The valve has a filter to protect the evaporator against ­possible grit. Its compact construction allows it to be installed in tight spaces. The valve comes with an insulation to ­protect against condensation and possible icing. 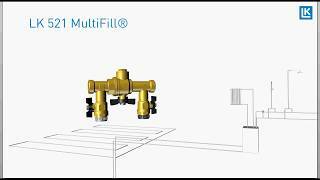 LK 521 MultiFill® can also be used in other applications where filling and filtration are required. Arrows on the valve body indicate the direction of the flow. The enclosed insulation should be used. Apart from cleaning the filter no maintenance is required. The filter should be cleaned immediately after installation, a month later and then every other year or when refilling fluid to the system. Check the installation regularly.